Primers for me have always been a should I or shouldn't I buy one? I haven't seen the big fascinating on primers before but as I am broadening my make-up collection I decided to go for it. 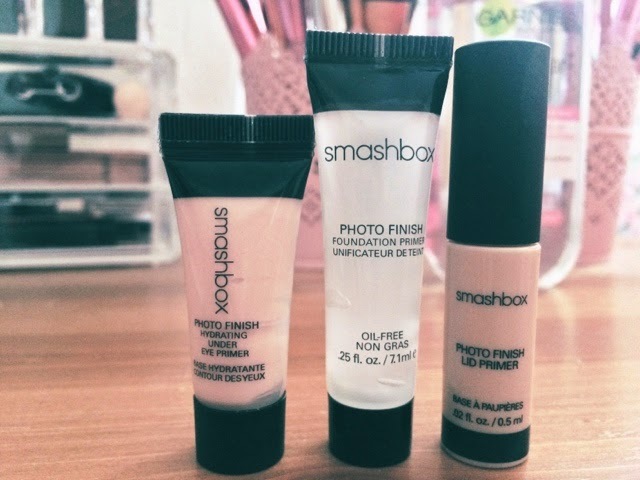 My friend Keira and I went on a big splurge the other day and I was very happy to pick up the Smashbox try primer starter kit. I had heard a lot of great things on Smashbox primers so I thought I would give it a go. .
First of all I love the size, trying a product for the first time can be scary, buying the biggest bottle can be pointless if you don't like the product. 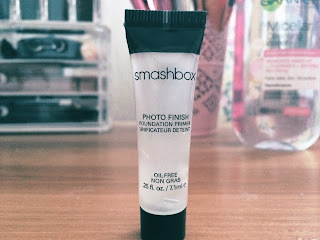 The foundation primer, I apply this after I cleanse and moisturize my face. This product isn't to heavy on my face and I love the feeling as I apply. I only need a pea size amount on my fingers to cover my whole face. I do feel that my foundation has applied a lot better on to my face and that it looks a lot smoother. There is no smell which is a bonus, and with having fairly oily skin, I love that it is oil free. 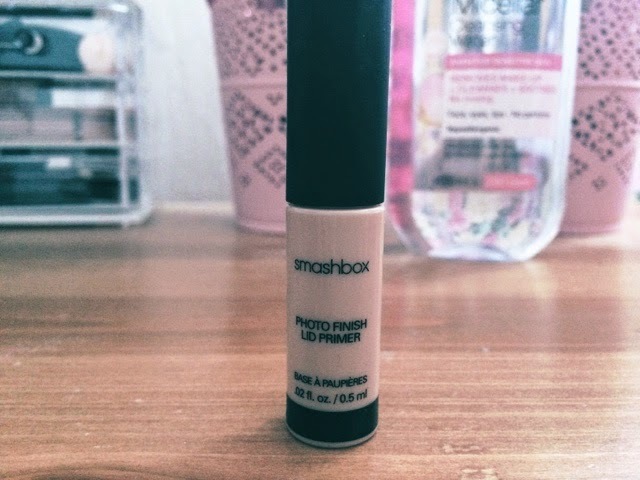 The Under eye Primer, This has to be my favourite product out the whole kit, an eye primer has been something I have been looking for a while, I feel my eyes have been going wrinkly after I have worn my make for a long time. 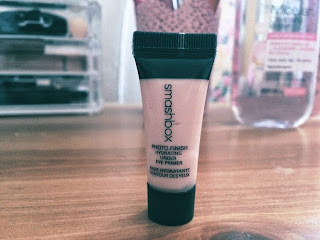 Using this product I again only need a pea size amount and dab under my eyes, I apply a little before my concealer, it makes my concealer go on a lot easier and again smoother, then I apply it after powder to hold in place and with the touch of shimmer through it it works as a highlight. I don't partially have dry under eyes, but I am excited to see how hydrating it can be on my eyes.. The last product in the set was The Lid Primer, I've never been a fan of eye primers but I am very happy with this one. The first bonus of this product is the colour, I really love the fact that it's the same colour of foundation, I will normally forget to cover my eyes with foundation so this is just perfect. After using a lot of eye shadow I did feel my eye shadow stayed in place for a lot longer and it also made the colour stand out more. . Overall I am very happy with these products and would most definitely consider buying the larger size. Let me know if you know any other good primers?? ?